China BlueStar holds 49.9-percent and Toray a 50.1-percent stake in the project. The investment totals 530 million yuan (77.60 million U.S. dollars), according to BlueStar Co.. The plant is scheduled to go into production in October 2010 with an annual production capacity of 6.18 million square meters of RO membrane and 130,000 RO membrane elements, according to BlueStar Monday. Reverse osmosis is a filtration process typically used for water purification. An RO membrane filters water by only allowing oxygen and hydrogen atoms through and filters out all solid matter. RO membrane products are also applied in the pharmaceutical, sewage treatment, petrochemical, metallurgical and electronics industries. China's production of such membranes has lagged behind its huge demand. Xi Yuxin, spokesperson of BlueStar, said Monday China would need much more RO membrane than it could currently produce. Around 90 percent of the membranes used by domestic companies were imported. 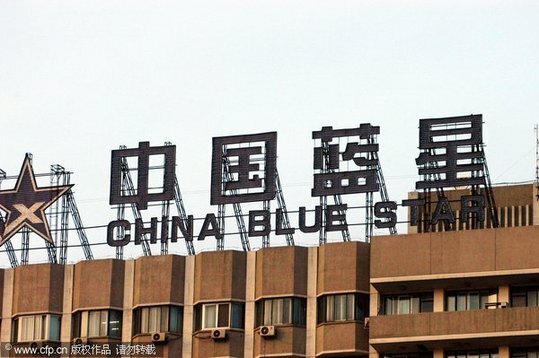 As a subsidiary of the state-owned ChemChina Group Corporation, BlueStar Co. focuses on chemical products and new materials. Toray Industries, based in Tokyo, is a world leader in chemical manufacturing.